Simple, fresh, easy, delicious. All the boxes you want to check off when looking for a quick meal in the dead of summer. 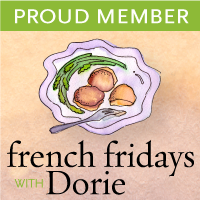 This week's French Fridays with Dorie recipe is for Salmon and Tomatoes en Papillote. Salmon is too fishy in flavor for me, so I substituted the much milder tilapia. Cherry, or grape, tomatoes are quickly seared in a skillet to enhance their flavor. I am only starting to eat any tomato that is not cooked to mush and sliced mine in half and cooked them a bit longer than the recipe called for to make them more palatable to me. I have to say I actually enjoyed the tomatoes quite a bit! Freshly plucked basil leaves are placed on sheets of foil as a bed for the fish. The fish is then dressed simply with olive oil, thyme or rosemary, lemon juice, salt and pepper. Slices of lemon and more basil leaves lie atop the fish. The seared tomatoes are placed alongside the fish and the package is bundled up and tossed in the oven for a quick ten minutes or so. This recipe is really quite lovely. Simple and elegant. I liked cooking en papillote and think you could try it on the grill as well. If I were serving this for guests I would use parchment paper for a prettier presentation. Tres parfait! Glad you enjoyed. This is our usual method of fish preparation (we just change out the fish, seasonings & citrus, etc) and I love that it can go in the oven or on the grill! Very nice job! How funny! I totally agree with you about the salmon & the tomatoes! I've been buying heirloom varieties at the farmers' market which are much more palatable to me. We also have several plants in our garden that are just starting to produce tomatoes. Great idea using parchment paper for guests. A lot more elegant! Looks so fresh! Perfect for summer! I love the idea of substituting in the tilapia. I didn't even think about the other fish you could use in this recipe! How pretty that first picture. Love how the tomatoes pop out. I agree this recipe is a keeper! Nice substitution! The tomatoes really make your photograph, too. 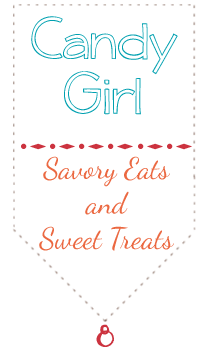 We love salmon and en papillote cooking, so this week's recipe was right up our alley.